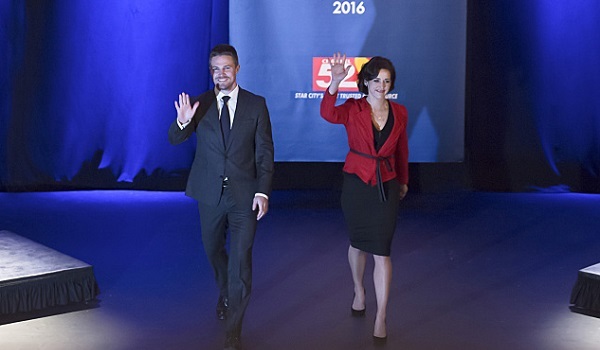 Warning: major spoilers ahead Episode 14 of Season 4 of Arrow. February is never a good time to be a good guy on Arrow, and February 2016 looks like it’s going to be one of the worst of Oliver Queen’s life. After the events of the latest episode, our hero in green in going to find himself in quite the pickle. Unfortunately for Oliver, the pickle is definitely of his own making, so it was hard to feel too bad for him in “Code of Silence” when the dire consequences of lying about his secret kid in Central City began to manifest. Now that Damien Darhk has kidnapped young William, the entire life that Oliver has built for himself is about to start falling apart. The big question now relates to how Oliver and Team Arrow will deal with the problem of William stuck in the clutches of Damien Darhk. Here are four ways that Arrow could take things. 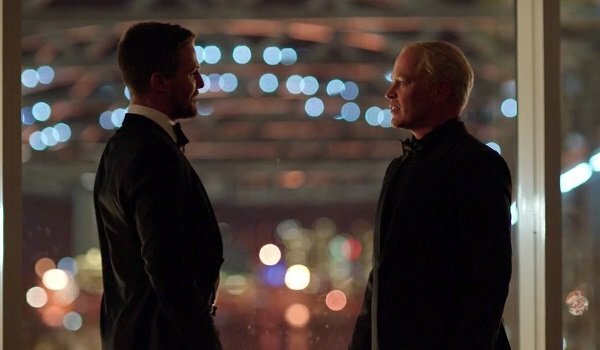 February is much too early for any particularly epic showdowns between the hero and the supervillain, so we can’t expect the resolution to the William problem to have much finality to it for Oliver or Damien Darhk. Still, this could be a great time for either Oliver to get one over on Darhk and therefore earn Darhk’s eternal ire even more so than he already has, or for Darhk to thoroughly trounce Oliver and give him something to fight for until May. Considering that Season 3 already saw Oliver going through a thorough trouncing with a delayed dramatic build, Season 4 would be better off letting Oliver defeat Damien Darhk just enough to rescue his son. His life will be ruined anyway once Felicity finds out about the secret kid situation, so a pre-finale showdown with Oliver eking out a victory could work for Arrow. To the surprise of exactly nobody who has been watching Arrow in Season 4, Oliver’s secret kid is being used as leverage against him. Well, turnabout is fair play, and Damien Darhk has a secret kid of his own with the woman who happens to be Oliver’s mayoral opponent. With William currently hanging out with Darhk’s daughter, Team Arrow could easily discover the existence of Darhk’s ragamuffin in their attempts to rescue William. Things have a history of escalating very quickly when Oliver’s loved ones are threatened – just ask Count Vertigo 1.0 – and Oliver using Darhk’s daughter (or other family member) as leverage against him could be a way to simultaneously save William and earn even more of Darhk’s fury to build to the death of whoever is lying in the grave in the flashforward. It would be a win-lose scenario, but it could work. The simplest solution to Oliver’s latest problem would be for Arrow to just let Damien Darhk up the ante and kill Oliver’s child. Darhk has been sold as the most truly evil character ever to appear on Arrow, and there could be no better way to distinguish him as worse than the man who murdered Oliver’s mother, and worse than the man who skewered Oliver’s sister, than by having him kill Oliver’s son. Removing William from the equation entirely would even be super convenient for the show. If there’s no son in Central City, then there’s no need to stick Stephen Amell in a room with the kid for Very Special Episodes for the rest of the show’s run. 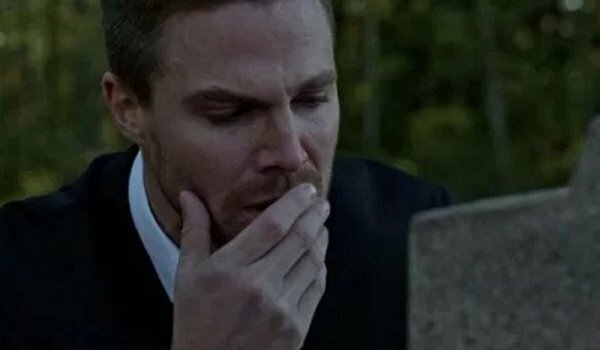 Still, Oliver’s son dying would be awfully dark even by Arrow standards, and the show might not be wise to kill somebody off before the grave reveal happens. That's not to say that William isn't still a candidate for the big Season 4 death; killing him now just would be premature. 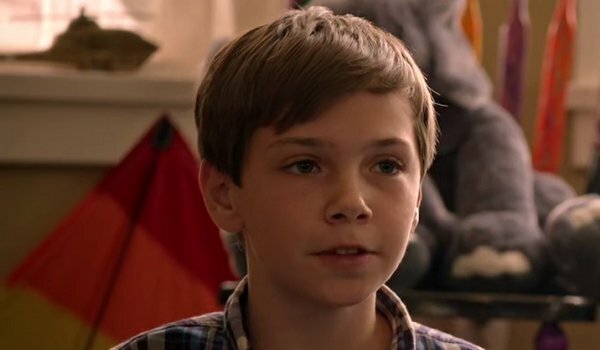 Instead of killing off the kid, Arrow could easily just ship William and his mom off to Fiji as part of the ARGUS witness protection program and be done with them. The storyline would have happened and the creative team wouldn’t have to worry about incorporating a child into a show that’s really not set up to allow the protagonist to be a parent. Samantha and William can officially change their last name to MacGuffin and live happily-ever-after offscreen. Then, Oliver can stand patiently at the head of an Airplane-esque slap train so everybody that he lied to can get in a free shot of their choosing so that he’ll remember that really awful things happen whenever he starts lying to the people that he cares about. Then, Arrow can get awesome again for the rest of Season 4. We’ll have to wait until next week to see how Arrow deals with the William problem, but we should definitely count on an emotional rollercoaster of an episode. Arrow airs on Wednesday nights at 8 p.m. ET on The CW. My fingers are crossed for Fiji and the Airplane! slap train. How Should Arrow Handle Oliver's Newest Problem?